The NAOI identifies the Best Investing Web Sites for transforming NAOI Education into effective investing action. With the introduction of Dynamic Investments, virtually every aspect of the investing world changes. As a result, the number and types of unique investing-related articles and/or interviews related to this change are endless. The NAOI has started the task of informing the public about Dynamic Investments in our Personal Investing education classes and via The Amazing Future of Investing book. We believe that investors will soon look to the financial media for more information and analysis. 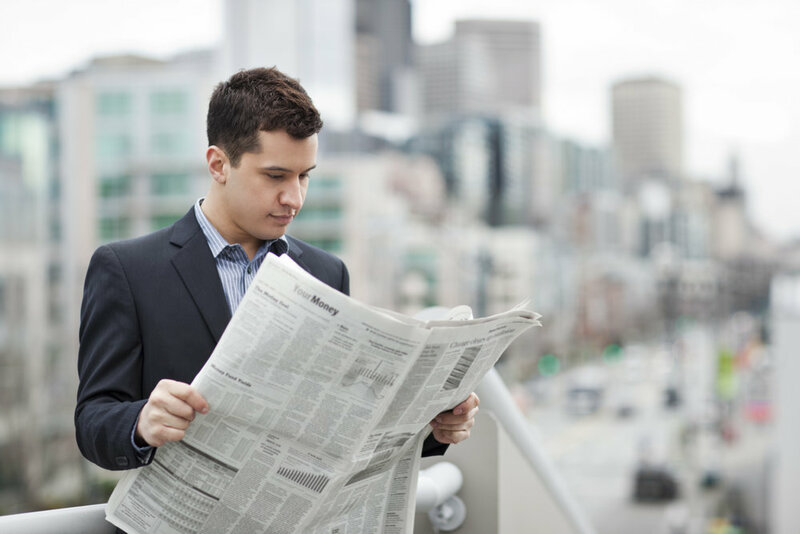 Listed below are "headlines" for articles that will attract the attention of massive numbers of individual investors and financial professionals alike. The first group of articles points to posts in the Authors Blog or connected to Hevner's profile on LinkedIn. The second group of headlines are for articles waiting to be written or interviews yet to be conducted. Each topic will be of intense interest to the audience of any financial media entity. And each will contain actionable information that will improve the investing effectiveness of the reader. Scan these headlines and if you, as a member of the media, would like to bring any of these topics to the attention of your readers / listeners I will work with you to do so in the format of your choice. The following headlines are from articles posted on LinkedIn and in Leland Hevner's Author's Blog that is found on the site at DITheory.com. Each has the potential to attract the attention of a massive number of readers. I offer these articles to the media for reporting "as is" or re-purposed to meet the needs of your audience. These articles, and others, give members of the financial media the seeds for writing your own articles with input from Hevner. To be alerted immediately when new articles are posted to the Author Blog, sign up for our Email Updates at the bottom of any page on this site! Following are ideas for new, original articles made possible by the introduction of NAOI Dynamic Investments. We are available to work with any media organization to write an article or participate in an interview related to each. A Chat Over Coffee: How Do Millennials View Investing and What Do They Want/Need from the Financial Services Industry? Dynamic Investments, Is this the Future of Investing? Is It Time to "Kill" Modern Portfolio Theory as the Standard of Portfolio Design? The Productization of Investing; Has the NAOI Found the "Holy Grail" of Investing? How Dynamic Investments Will Revolutionize Retirement Plans - Introducing the "Market-Biased Portfolio"! Are "Robo-Advisors" the Future of Investing? Not Even Close! Here's Their Fatal Flaw. Dynamic Investments - Why Millennials Love Them! Why Isn't Personal Investing Taught at any Level of Academia? Each of these headlines/topics will be of tremendous interest to your audience. To use any of them, or to suggest others, please contact Leland Hevner using the information provided on this site's Contact Page. And be sure to sign on to our Updates Email List at the bottom of any page of this site to be alerted when new Dynamic Investment developments are released. Of course we will be glad to help you report on them in the format that you need. The role of the financial media is not only to inform and educate but also to foster discussion and debate. The replacement of MPT with DIT will do just that. Today's "settled-science" portfolio design methods need to be challenged!